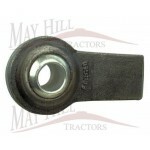 9 Hole Tractor Drawbar Category 1 fitting- (22mm diameter). Lynch Pin Hole 11mm. 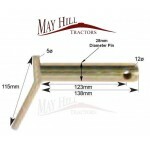 Usable Le..
Automatic Bar Hole Stabiliser with Float Position 529mm/643mm.• Float: +/- 40. 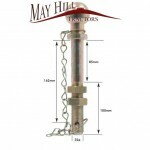 Automatic Bar Hole Stabiliser with Float Position • Minimum/Maximum Length: 529mm/643mm.• Float: +/..
Ball End 10 x 1.5 ..
Ball End 5 x 1 ..
Ball End 6 x 1 ..
Ball End 8 x 1.25 ..
BALL HITCH PIN-50MM-22X190MM Ball Hitch Pin (Long). Ball Size: 50mm. 22mm. 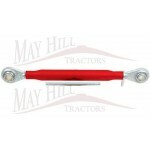 Max Trailer Weight: 1250..
BALL HITCH PIN-50mm-22mm x 70mm Ball Hitch Pin (Short) - 50mm Ball Size, 22mm diameter thread, 70..
BALL HITCH PIN-50mm-25mm x 70mm Ball Hitch Pin (Short) - 50mm Ball Size, 25.4mm diameter thread, ..
Ball Hitch Pin (Short) • Ball size: 50mm • Ø: 19mm • Max trailer weight: 500kg • Zinc plated ..
50mm Ball Hitch Pin - Short. 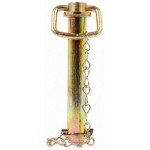 Pin Ø «F,3/4»/19mm., Maximum recomended trailer weight 350kgs., Suitabl..
50mm Ball Hitch Pin - Long. 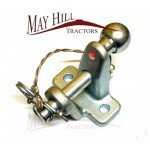 Pin Ø 1"/25mm., Maximum recomended trailer weight 2000kgs., (Must be use..
Dual Tow Hitch Extended Ball 3500 kg D Value = 17Kn. E11 Homologated (silver). 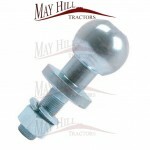 50mm ball..
Drawbar Hitch Pin 5/8" (15.7mm)Diameter Total length from shoulder to end of pin 4.11/16" (1..
Drawbar Hitch Pin 3/4" (19mm)Diameter Total length from shoulder to end of pin 6.1/16" (180m..
Drawbar Hitch Pin 7/8" (22mm)Diameter Total length from shoulder to end of pin 4.7/8" (123mm) Dist..
Drawbar Hitch Pin 1.1/4", 32mm Diameter Total length from shoulder to end of pin 207mm Dist.. 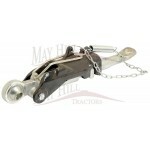 Lift Arm Cat 2 Heavy Duty Weld on End ..
Tractor Lower link Arm Category 1 Weld-on end The link end measures approx. 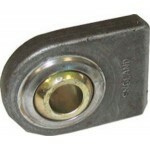 At the weld on part(ar..
Lower Link Pin (Cat. 2) .. 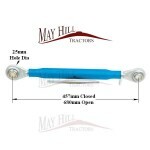 Implement Mounting Pin Cat 1(22mm) + Cat 2(28mm) Dual purpose pin with 1" UNF with fixing nut a..
Lower Link Pin (Cat. 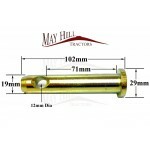 1) • Pin Ø: 7/8".• Working Length: 39mm.• Length: 78mm. 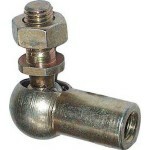 Lower Link Pin (Cat. 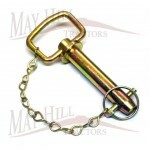 1) • Pin Ø: 7/8".• Working Length: 39mm.• Length: 78mm. 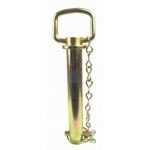 ..
Category 1 Lower link pin 22mm outside diameter 115mm from shoulder to edge of 12mm lynch clip hol..
BALL HITCH PIN-50MM-5/8"(16mm) x 50MM Ball Hitch Pin (Short) - 50mm Ball Size, 5/8",16mm diameter t..
Standard. 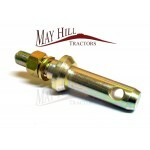 Duty Top Link (Cat 1/1) 625 - 827mm Fits Various Tractors Category 1 Fitting 19mm Diamet..
Top Link Conversion Bush (Cat. 2 to 3) • I/D Ø: 25mm. • O/D Ø: 32mm. 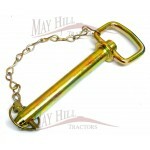 • Length: 50.8mm. 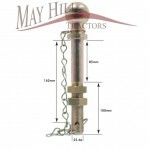 ..
Tractor Top Link Quick Release Ball with Ears (Cat. 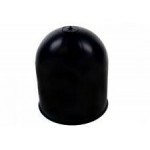 2/2) ..
Tow Ball Cap - 50mm (Black Plastic) ..
11 Hole Drawbar, Category 2 Pin Fitting, Overall Length 781mm Fits Various Tractors with Category 2..
9 Hole Drawbar Cat 2 Pin Fittings, 781mm Long Fits Various Tractors with Category 2 Linkage Balls ..
BALL HITCH PIN-1.1/4" Ball Hitch Pin (Long). Ball Size: 50mm. 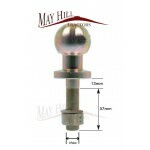 Pin diameter 32mm. 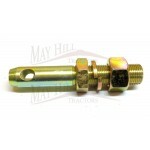 Max Trailer Weight..
Lower Link Conversion Bush (Cat. 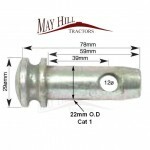 0 to 1) • I/D Ø: 5/8"• O/D Ø: 7/8".• Length: 33mm. 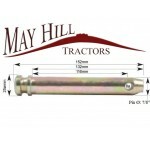 ..
Tractor Cat 1 Lower Link Pin Ø: 7/8". 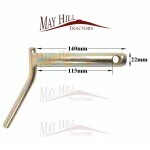 Working Length: 116mm. 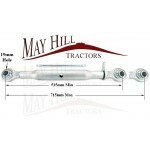 Length: 152mm. 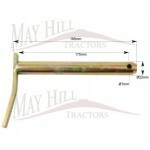 Tractor Cat 1 Lower Link Pin Ø: 7/8". 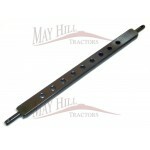 Working Length: 116mm. 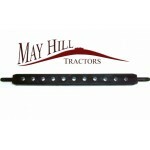 Length: 152mm ..
Top Link (Cat. 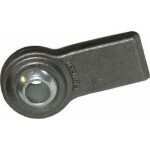 1, 19mm) with Ball Ends Minimum/Maximum Length: 440mm/640mm.• Thread: 1 1.8"UNC.• Co..
Category One Lower Link Ball (Small Outside diameter) 44.5mm Outside diameter, 22mm Inside Diameter..
Linkage Drawbar (Cat. 1) • Number of Holes: 11. 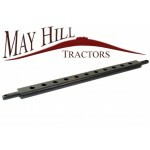 • Overall Length: 765mm. 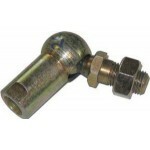 ..
Lower Link Weld On Ball End (Cat. 2) 70mm Width Top to Bottom at Weld point 19mm Thick 80mm From .. 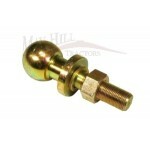 Implement Mounting Pin Cat 1(22mm) with 5/8" UNF Fixing Nut and spring washer Category 1 Pin, Raise.. 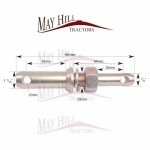 Implement Mounting Pin Cat 1(22mm) 7/8" UNF with 2 adjustable position fixing nuts and spring washer..
Lower Link Implement Mounting Pin (Cat. 2) Pin Ø: 1 1/8" . Thread Ø: 7/8" . 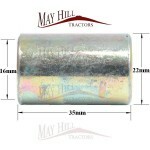 Working Length: 60mm. 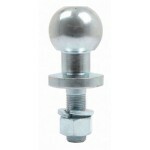 L..
Lower Link Weld On Ball End (Cat. 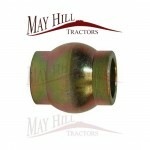 2) 16mm Thick x 46mm Top to Bottom at the weld point Cat 2 Ball ..
Lower Link Weld On Ball End, LH (Cat. 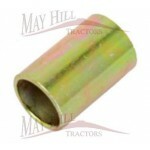 1) Lefthand 95mm From Hole Centre to weld joint 45mm Arm top..
Lower Link Weld On Ball End, RH (Cat. 1) 95mm From Hole Centre to weld joint 45mm Arm top to botto..
Standard Duty Top Link (Cat 1/1) 515 - 715mm 19mm Pin Hole diameters Fits Various applications .. 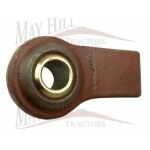 Swinging Drawbar Hinge Pin • Pin Ø: 22mm.• Working Length: 175mm. 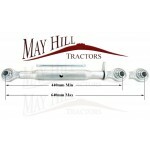 See picture for dimensions ..
Top Link (Cat 2/2) 457 - 680mm ..
Tractor Top Link (Cat. 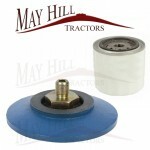 2/2) with Ball Ends Minimum/Maximum Length: 532mm/815mm.• Thread: 1 1/8" UNC..
Tractor Top Link (Cat. 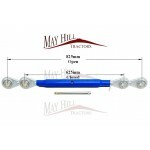 1/1) with Ball Ends Minimum/Maximum Length: 625mm/827mm.• Thread: 1 1/8" UNC..
Top Link Pin (Cat. 1) - Dimensions as picture ..